KPMG Social Media Advisory empowers clients to drive real business value from social media. According to the Sensis Social Media Report 2017 (PDF 2.07MB) almost eight in 10 Australians (79%) are on social media, and 80 percent of Australian businesses have a presence on social media. The continued ubiquity of social media presents both challenges and opportunities for Australian businesses. 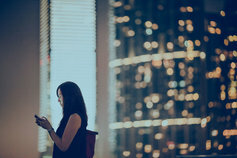 KPMG Social Media Advisory is a specialist team focused on providing objective advice that can help empower clients to drive real business value from social media. We tap into one of the world’s largest ‘live’ databases to unearth social data and insights that can be used to inform decisions throughout your business. We analyse risk across reputation, regulatory and operations in order to help mitigate and reveal emerging risks. We analyse your most public customer service channel to enable you to deliver excellence in social customer care. We conduct analysis across your social ecosystem and provide recommendations for full integration of social throughout your business. We undertake social media diagnostics, using KPMG methodologies, to benchmark your social media activities, and determine the most effective social strategies to deliver on your business goals. Making the impact of brand visible to organisations. Mining social media's pool of unstructured data offers an opportunity to understand customers deeply, and to stay ahead of their needs. Louise is a senior Social Media, PR and Communications Strategist. Greg is one of Australia’s most experienced marketing communications executives. Designed to help directors perform their duties and improve board performance. 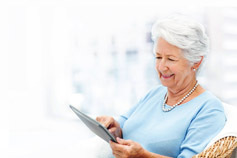 Five steps to successful social media in aged care. For infrastructure players, social media is far more than an interesting development.